Johannesburg - Game of opinion football it is! Every other decision gets to be challenged by those on the other side – rightfully or wrongfully so. Despite the criticism levelled at the selection of the recent coach of the month and man of the match awards, the Premier Soccer League (PSL) believes they have integrity and credibility. 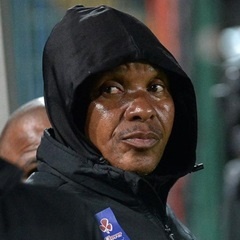 Many believed Baroka FC coach Kgoloko Thobejane should have been the recipient of the August/September coach of the month award, which instead went to Golden Arrows’ Clinton Larsen. Those who questioned the outcome argued that Thobejane should have been rewarded for his team’s excellent start to the season. Both Baroka and Arrows have gone seven games without defeats, but the Limpopo side was on top of the log standings because of a better goal difference. However, that was still not good enough to earn Thobejane the recognition. As if that were not enough, supporters weighed in on the man of the match award after they felt Kaizer Chiefs’ player Joseph Molangoane was overlooked for his performance in the game against Mamelodi Sundowns. Instead, the award was given to defender Siyabonga Ngezana, who happened to score on his debut. The debate raged on social media and some people questioned the decision. But the PSL’s spokesperson Luxolo September argued that supporters would always differ in their opinions, as was the norm with football. “Judging processes, by nature, will always attract criticism and this is healthy because football is a game of opinion. The most important thing for us is the credibility that is in the system – the quality of the people who are judging and their experience in football,” September said. “We are happy with the credibility and integrity of this process. Not once has the credibility been questioned. However, you will always get people disagreeing with the winner, and that is healthy in football. If we saw things the same, there would be a problem...it would be dull and boring". He said they were happy with the composition of the judging panels which consist of former players, coaches who are not attached to a club and experienced television and radio commentators. “The panel will ordinarily have individuals who have served in football [either as analysts or players/coaches] for a number of years. We look at people who actively follow Absa Premiership football". September said other people felt Larsen deserved the award. “I have met people who think Larsen was deserving. I have heard contrary views. Are they right or wrong? I don’t know. At the end of the day, the judges take the final decision". September said the PSL had no say about the man of the match award. He said the league welcomed any input that would make its processes, including judging, better. How should these awards be decided?